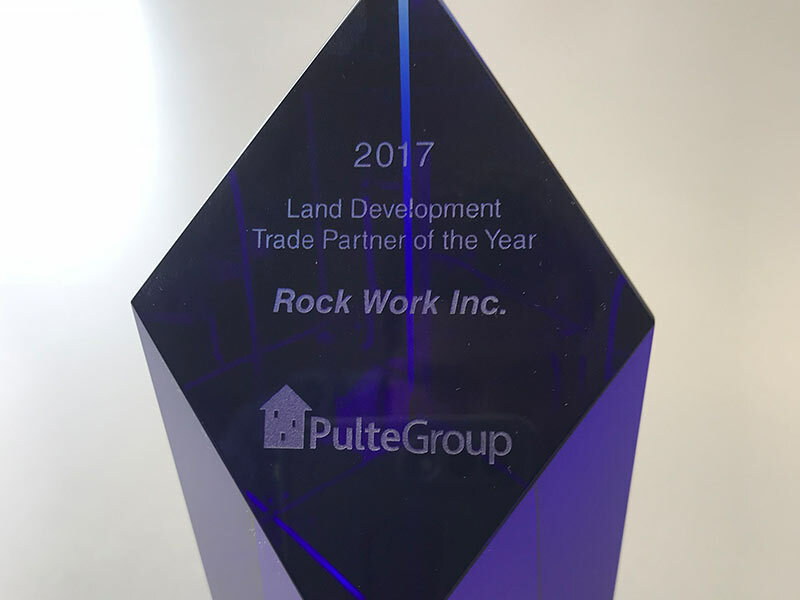 Rock Work Inc. is a fourth generation family owned and operated drilling and blasting company centrally located in Blue Bell, Pennsylvania. 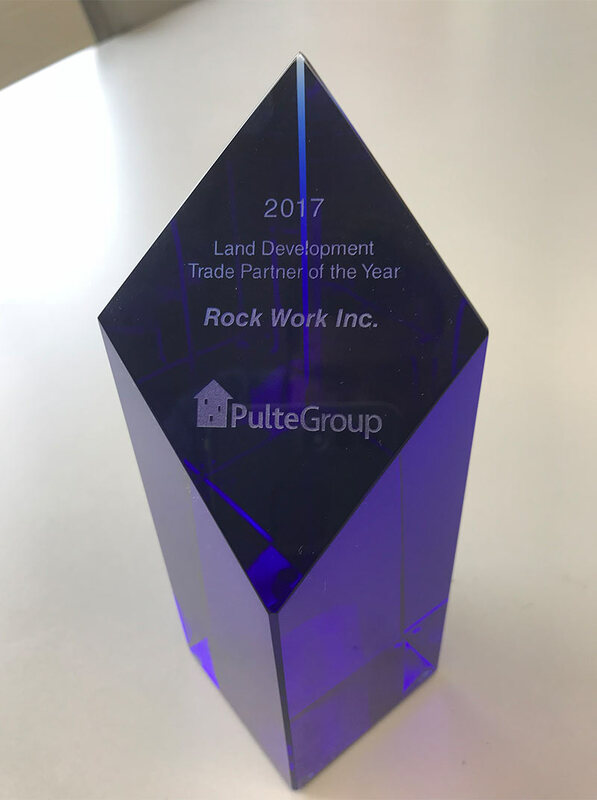 Rock Work Inc. has the required federal, state, and local licenses and permits for the storage, transportation, and use of explosives in Pennsylvania, New Jersey, New York and Delaware. We employ experienced, competent, and skilled blasters who have extensive safety training and are individually licensed to transport and use explosives. When blasting is not an option, Rock Work Inc. offers several non-explosive rock removal services. 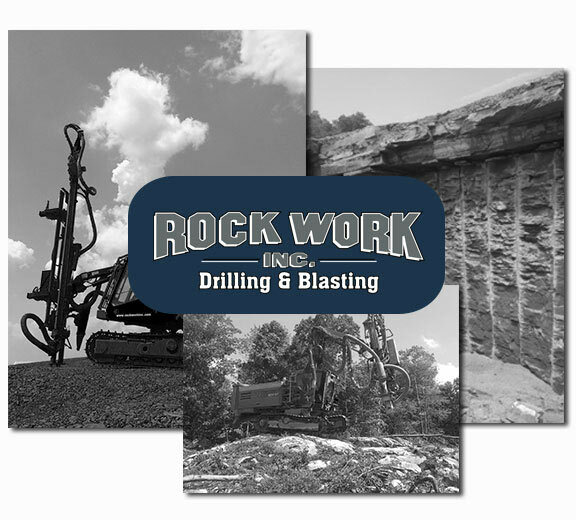 Please explore our Services page to see all of our drilling, blasting, and other rock removal options. Please contact us now for a free, no-obligation custom quote. Each project we bid is custom priced. There are many variables taken into consideration when pricing a job. 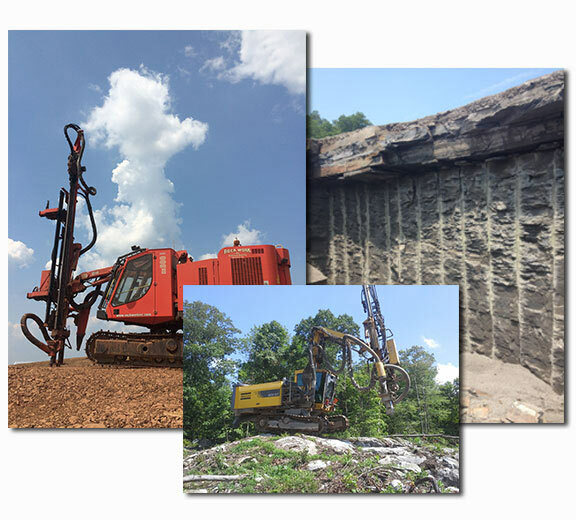 They include: local blasting ordinances, type(s) of rock, hydrologic conditions, distances to existing structures and utilities, rock cut areas, depth of cut, etc. While considering all of these variables, we formulate the best method to complete a project safely, in a cost effective manner, with acceptable rock fragmentation. Our drills are kept well maintained for minimal downtime. We utilize “state of the art” explosive products best suited for the specific application. We are committed to providing safe, on-time, and cost effective services for your rock removal needs. If you are looking to purchase some equipment or have equipment you're currently selling, click here to see what equipment we have for sale or are looking for.